There’s nothing like a motorhome, and not only that, there’s nothing like our fuel-efficient Gulf Stream RV BT Cruiser Motorhome for sale. If you love to drive, love to explore places around your campground sites, and enjoy having all of the essential amenities of home, why we don’t look at this Gulf Stream RV BT Cruiser Motorhome Review together! 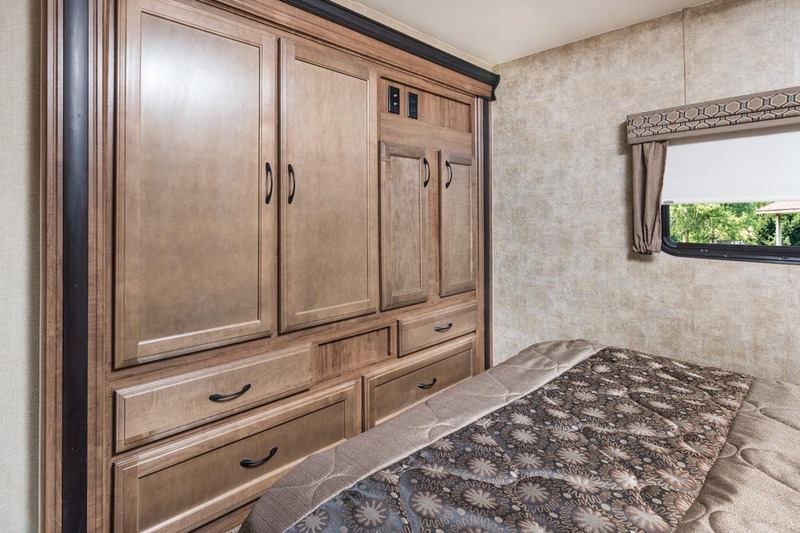 Whether you’re driving through rough terrain or through the city, this motorhome is built for durability because of the Cradle of Strength®” Construction, with box trusses, steel subfloor, and smooth fiberglass laminated sidewalls, fiberglass front & rear caps. You definitely won’t have to worry about driving over tough roads anymore! The outside hot and cold shower is perfect for when you’ve come from a hike or even the beach and want to hose down before stepping back inside your RV. Settle down in bed and watch a movie after a long day on the road. Each of these is a great addition to the motorhome! Another great feature of the Gulf Stream BT Cruiser is the amount of storage it provides. 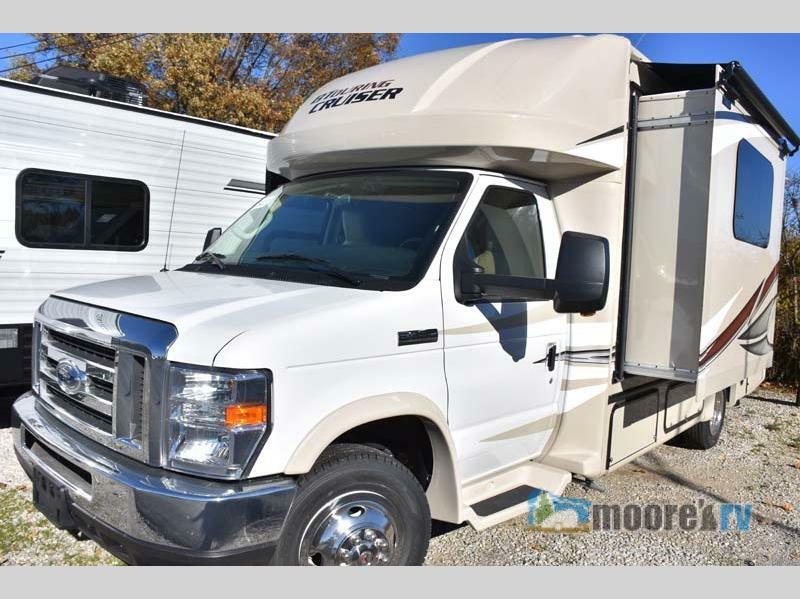 For long trips and vacations, you’ll want all of the storage you can get, and this motorhome offers a lot! If you’re interested, check out the Gulf Stream BT Cruiser floorplans for a better look at all of the options you can have in reference to storage. All of these amenities are featured in our Gulf Strem BT Cruiser. It is designed to be easily maintained, so you can get up and go anytime! If you have any questions or are interested in the Gulf Stream BT Cruiser motorhome, please contact us today. We at Moore’s value your inquiries!